All sellers have the expectation their home will sell quickly and they will net top dollar for it. While these goals are attainable, sometimes homes sit on the market much longer than expected. If time is short, hire someone to take on the handy-man duties to keep your home looking its best. If funds are not available, perhaps a home equity loan, favor swap, or family/friend assistance is an option that will work. You want your home to give a great first impression, help it do that by ensuring all maintenance items are resolved before listing the home. Having a pre-listing inspection can help identify areas of concern and will give you time to assess where you need to concentrate your efforts. You can bet buyers will be coming through looking with a critical eye looking for issues...make sure they do not find anything wrong worth thinking twice about. If you have too much "stuff", give away, sell, or store as much as you possibly can. An uncluttered room/home looks bigger, shows better, and gives buyers a more clear idea of how their possessions will look and fit in the home. A few simple things you can do include ensuring counter-tops are clear of items, your closets are neat and tidy, oversized and/or excessive furniture is kept to a minimum, and the yard and garage space are free of debris and junk. Trust me, no buyer wants you hovering while they are looking at your home. You trying to show them all the features, upgrades, or cool stuff will almost always get them to speed up their viewing and get out of the home as quickly as possible. Buyers like to look at their own pace without hearing a sales pitch and they never want to feel pressured. Also, you may say too much. The buyers agent is a professional and will pick up on small details that may give their buyer an edge when negotiating the sale of your home. Mentioning money issues, moving away, family changes, repairs you made, etc. can all have an adverse affect on how much you are able to sell your home for. Your best option is always to make sure you are not at home during showings. You can always ask for feedback later. Nothing cries "this home will cost me money" to buyers quicker than walking into a home that is a blast from the past. If your home has floor-to-ceiling wallpaper, shag or brightly colored carpet, paneling, old appliances, etc. it will be very difficult for buyers to look past those things and picture themselves in the home. Unless they are looking for a project, most buyers want a move-in ready home, not one that requires a lot of upgrades (expensive or not). Occasionally, taking care of minor things like painting rooms, replacing lights/switches/handles, and refreshing cabinets will give your home a fresh appearance that looks inviting to new buyers. Other times, you may need to consider doing major upgrades like new flooring, counter-tops, or appliances to pique the interest of consumers. One of the easiest ways to see what is trendy is to visit a few open houses in your area in the price range you are expecting to list at. That will quickly tell you if your home needs to be spruced up or should undergo an overhaul. The agent you choose should be able to backup the price they want to list your home for with comparable recent sales. This will show you the price range your home is most likely to sell in. If they are unprepared, cannot adequately answer questions, and do not have a solid price in mind, you may not get quality service during the listing period. You want your agent doing everything in their power to get your home seen and sold. The days of "effective marketing" by putting a sign in the yard, posting in the local real estate book, and having an open house every weekend are long gone. Those methods are archaic and are not effective marketing solutions on their own to help your home get found by new buyers. This article was written by Anita Clark who serves both buyers and sellers in the Warner Robins GA real estate market. Follow Anita on Google Plus. 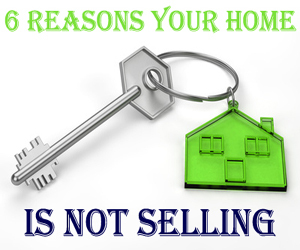 What are the top 3-4 ways to establish a fair price for your house when considering to sell it? Thank you Anita. This is very informative. Thanks a bunch, Arnet. The best way to establish a fair price is to work with a local agent who understands the market and can provide you with a thorough analysis that details the price range your home should fall within. Anita - Yes, these certainly are barriers. Price vs value seems to be the biggest and some of the items are really just subcategories for this. Finding the right agent and allowing access has an impact, too. but, if the price isn't right, it will just sit there. That is absolutely right, Debbie. Everything hinges off getting the price right upfront.